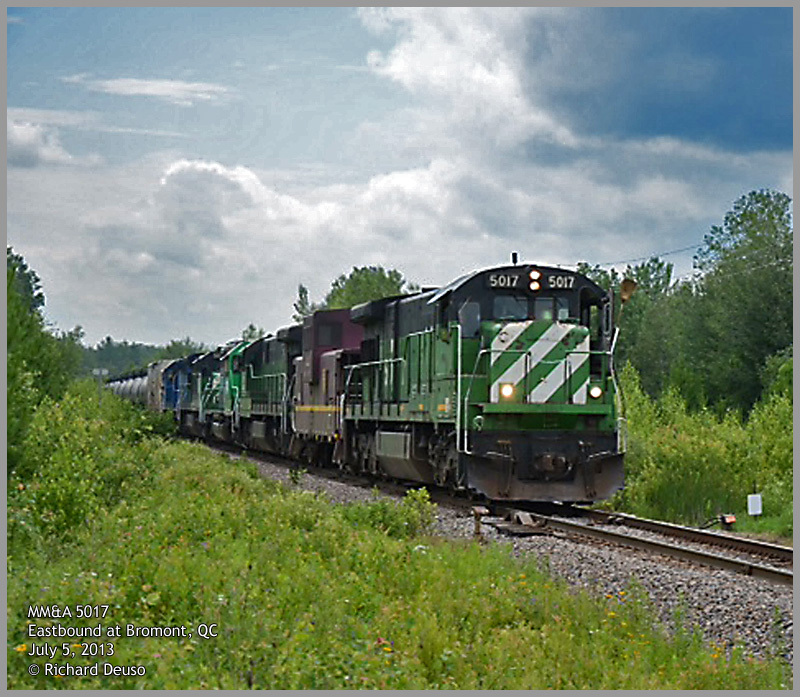 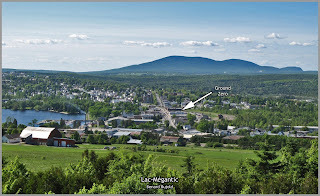 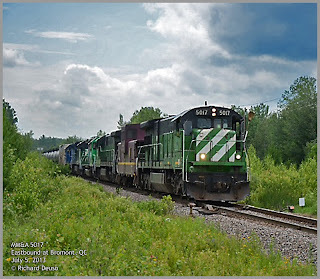 Rail photographer Richard Deuso had the incredible good fortune of capturing Montreal, Maine & Atlantic Unit Oil Train, as it made it's way eastbound, toward it's moment of infamy at Lac-Mégantic. Wendy Tadros, Chair of the Transportation Safety Board (TSB) of Canada, said the Lac-Mégantic crash "may well be the most devastating rail accident in Canadian history." 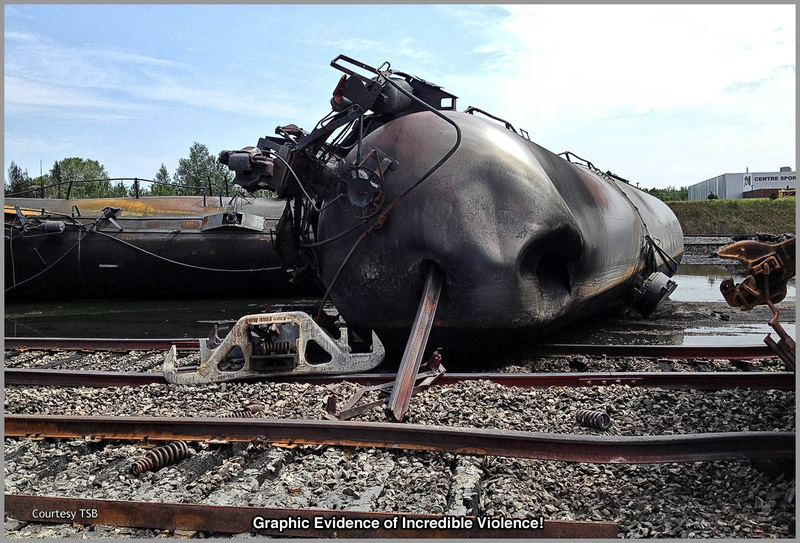 She said it will take "months or more" to determine the cause. 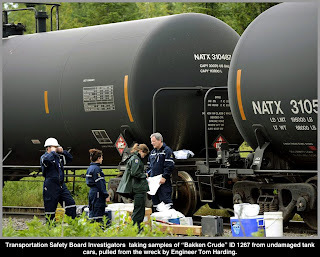 "At the TSB we hold by the theory that no accident is ever caused by one thing and it's always a series of things. 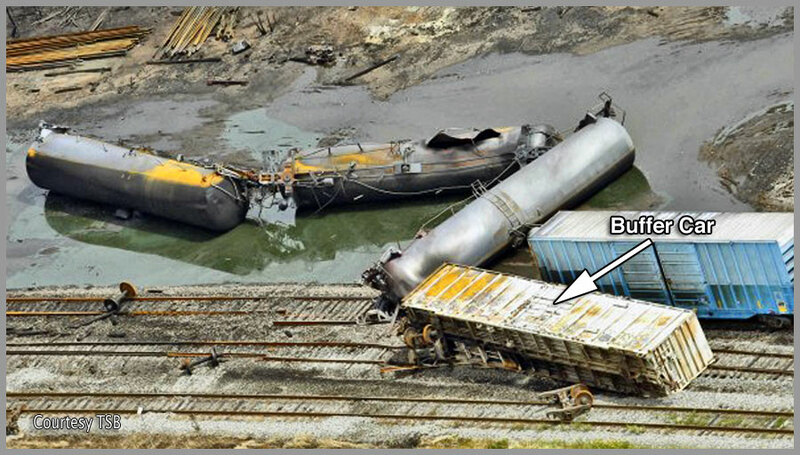 And it always involves the organization. 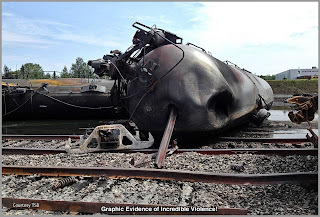 It never comes down to one individual." 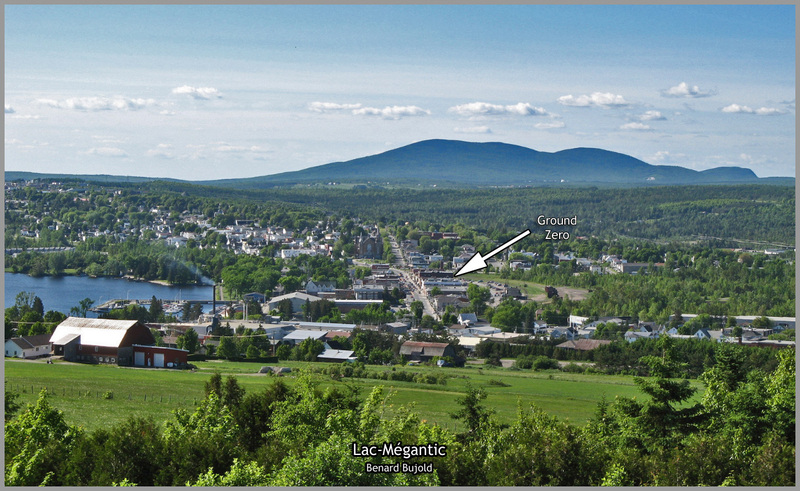 A number of steps have been, or are in the process of being completed. 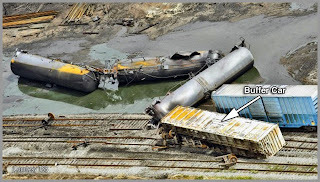 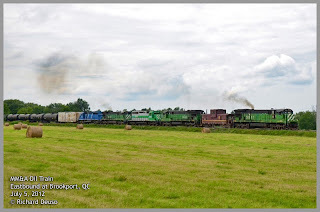 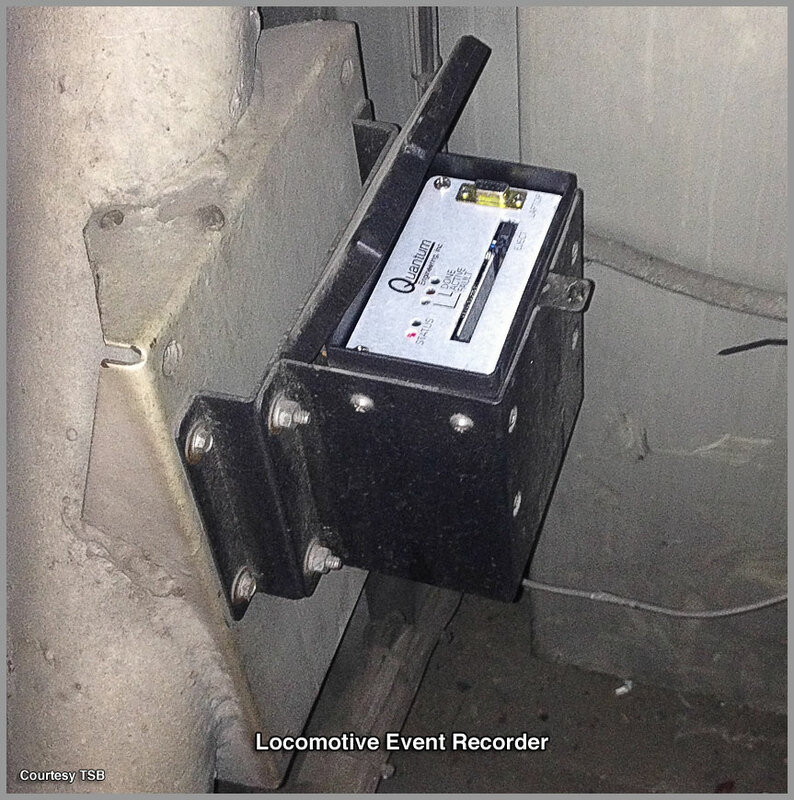 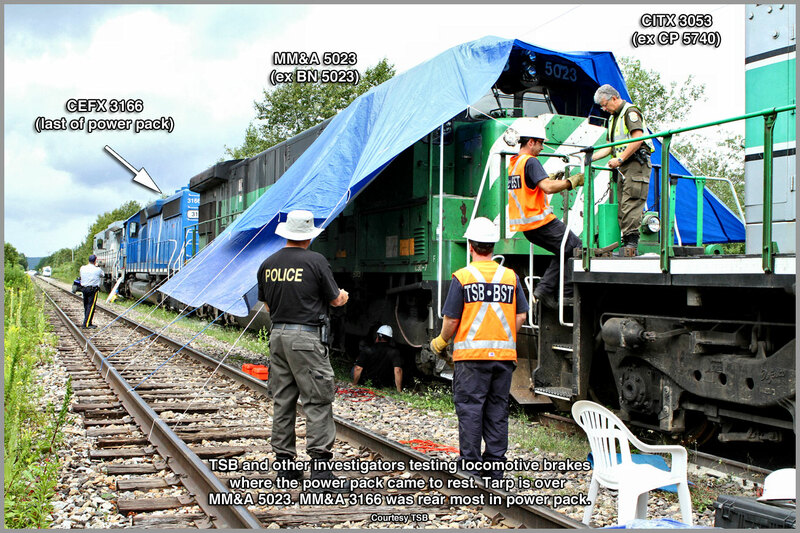 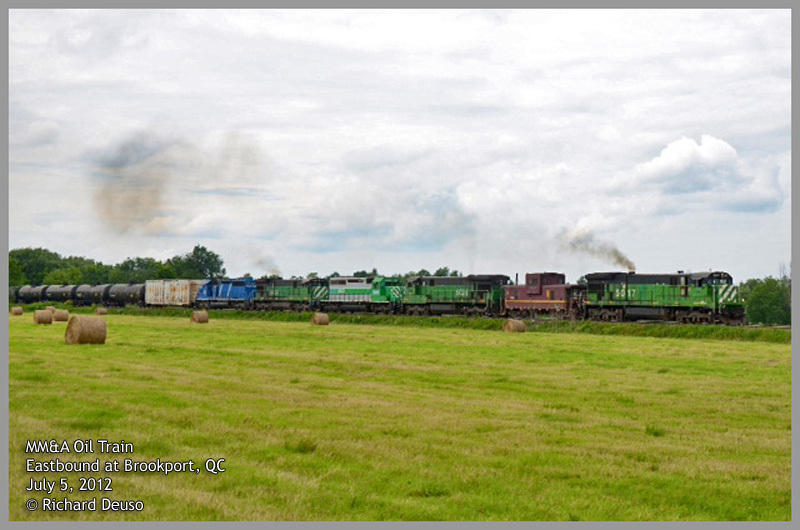 The TSB has downloaded key information from the locomotive event recorder. 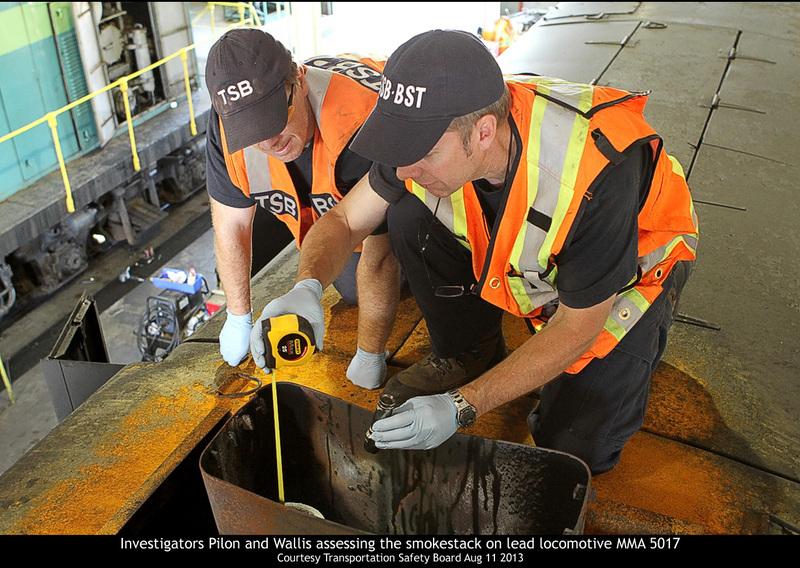 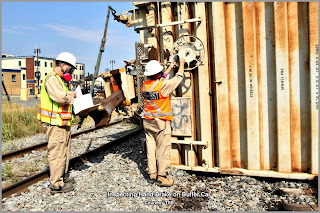 TSB Media Staff began documenting brakes and controls on the locomotives, beginning at the site they came to rest about a mile east of the derailment. 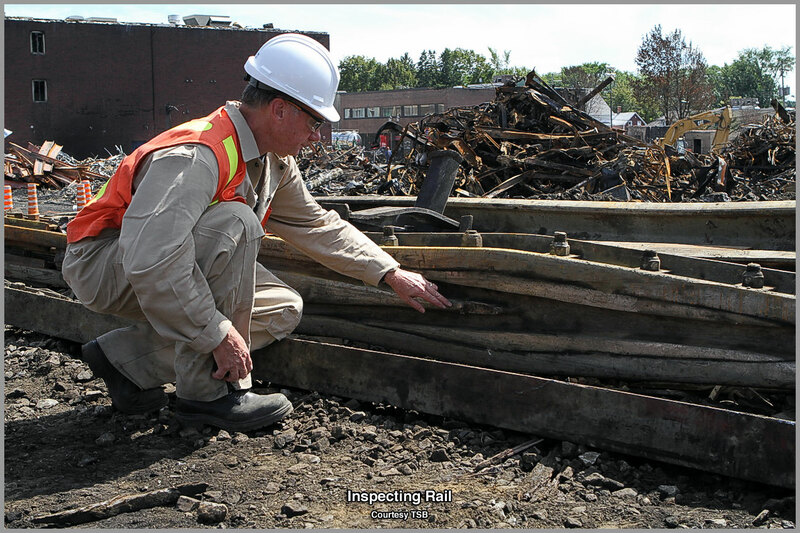 TSB investigators inspected the tracks, and conducted a site survey, photogrammetry and videography to determine track grade and position, and this information will be used for future calculations and computer modelling. 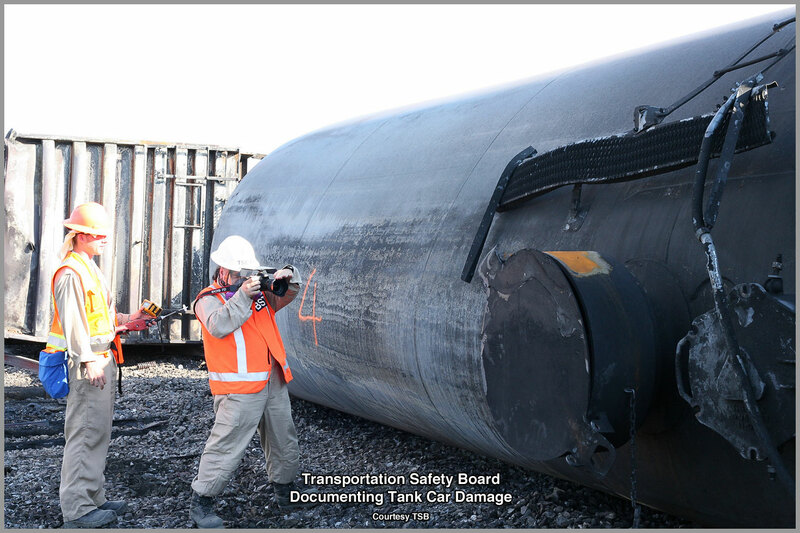 Investigators have conducted mechanical inspections and photographed 22 tank cars to date to document accident damage. 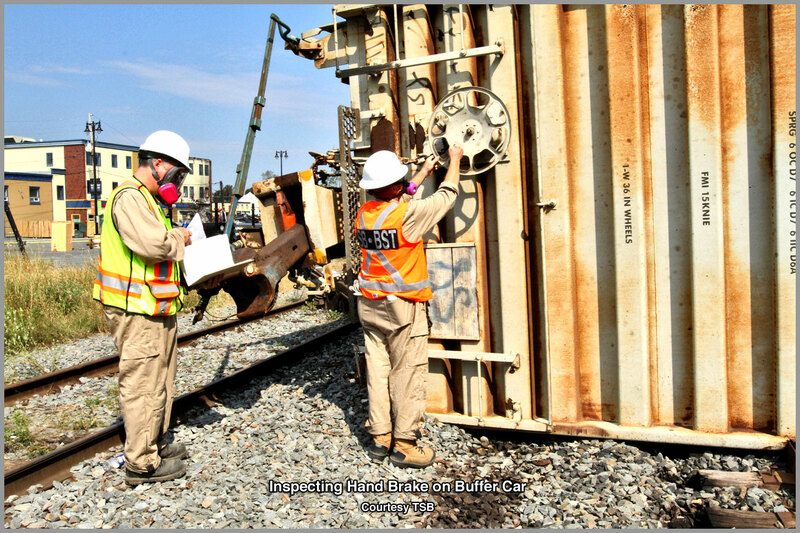 Sample pieces of the tank cars are also being sent to the TSB laboratory in Ottawa for further metallurgical analysis. 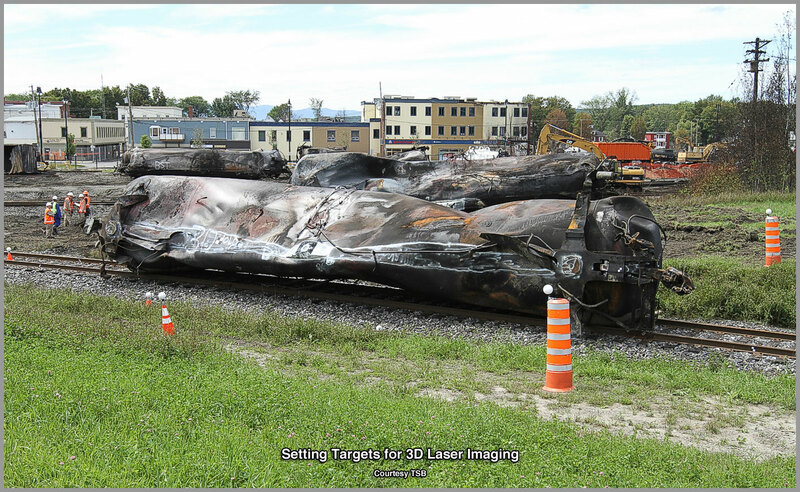 The TSB is conducting 3D laser imaging with the assistance of the U.S. National Transportation Safety Board (NTSB) to record three-dimensional data of the accident scene and different pieces of the wreckage. 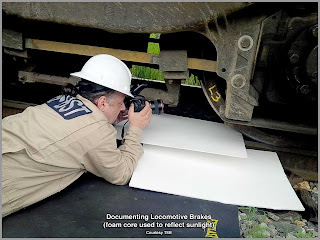 The scanner will be used to create full-color still images and assist in computer modelling. 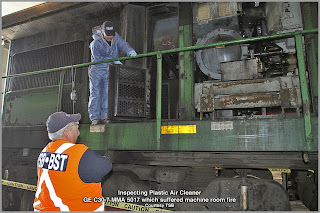 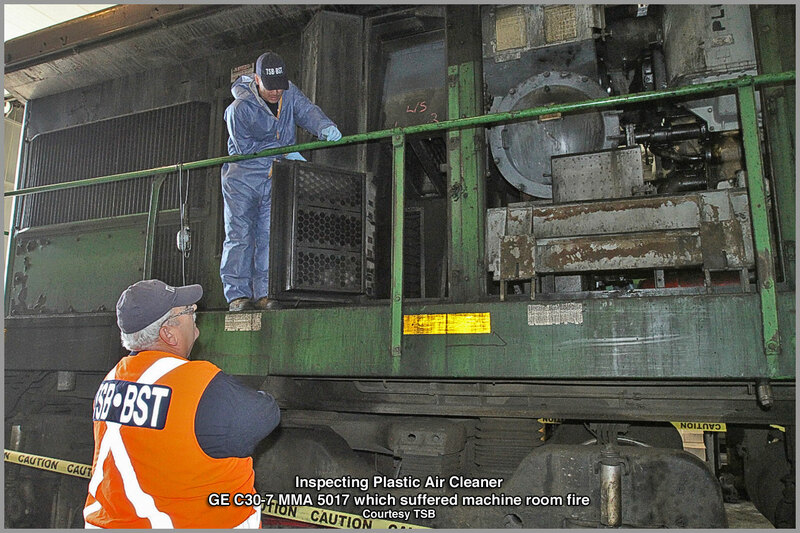 Samples were taken of the products inside selected tank cars to determine their exact properties. Shipping documents and train journals are being reviewed to ensure the information is accurate. 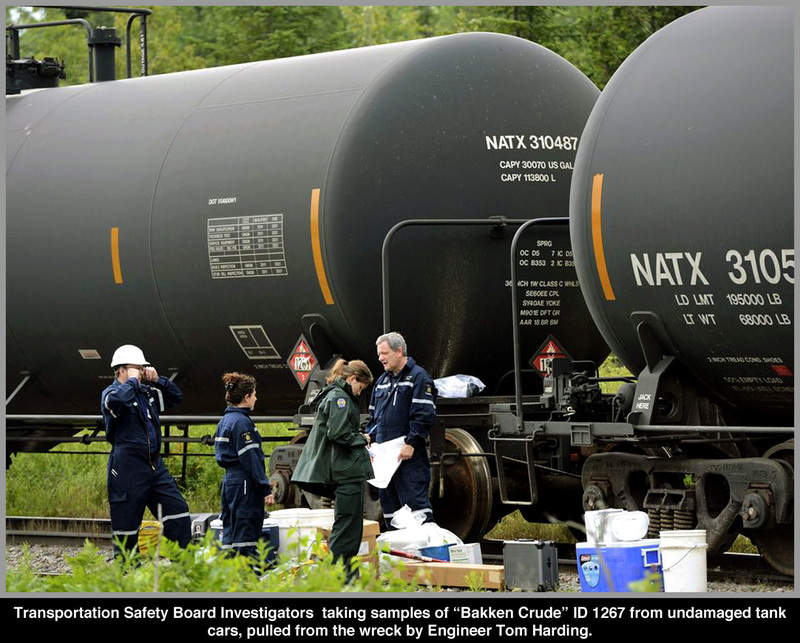 Investigators have conducted numerous interviews. 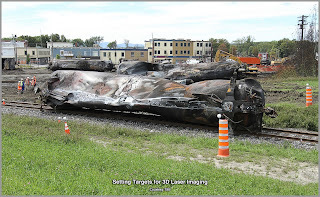 They have interviewed the locomotive engineer and other employees from MM&A, first responders such as firefighters, and officials from TC, among others. 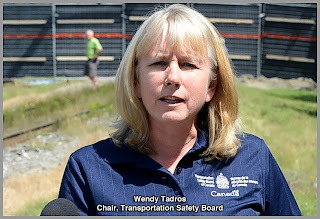 This important work continues, but it is important to note that under the Canadian Transportation Accident Investigation and Safety Board Act, all interviews are protected information and will not be publicly released. 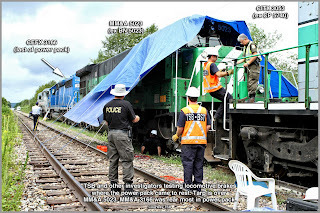 Incredible photos you have managed to pull together. 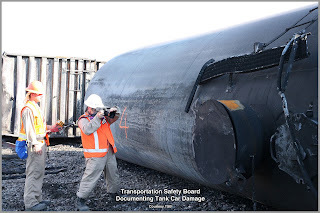 Thank you for keeping the story alive in light of all the talks about increasing the rail service of oil tanks across our nation, and especially Washington State. This story needs to be kept 'alive' in memory of those who aren't. 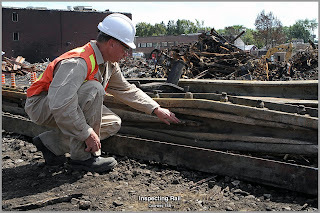 Thanks again for your hard work and diligence.